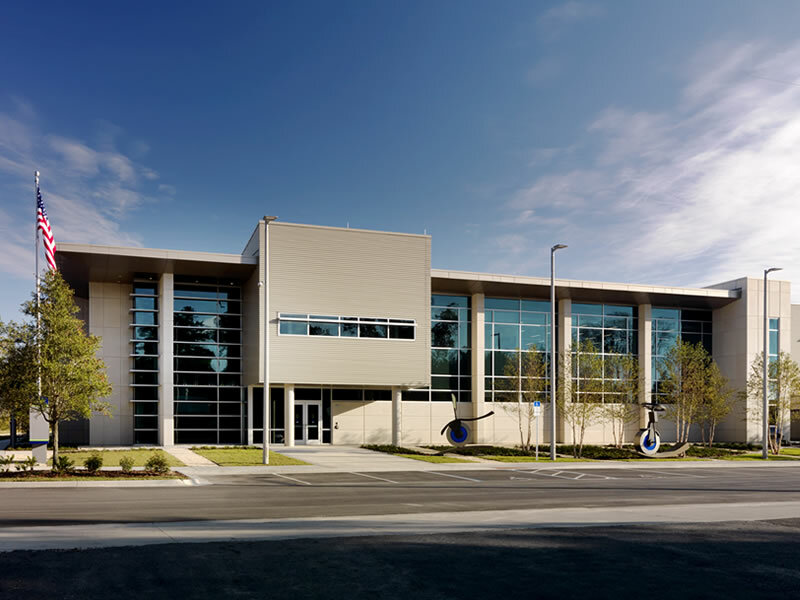 The RTS Fleet Maintenance and Operations Facility is comprised of five individual buildings of which Structural Engineers Group, Inc provided structural services for. Each of which are listed below and the associated structural components used in the design and detailing. 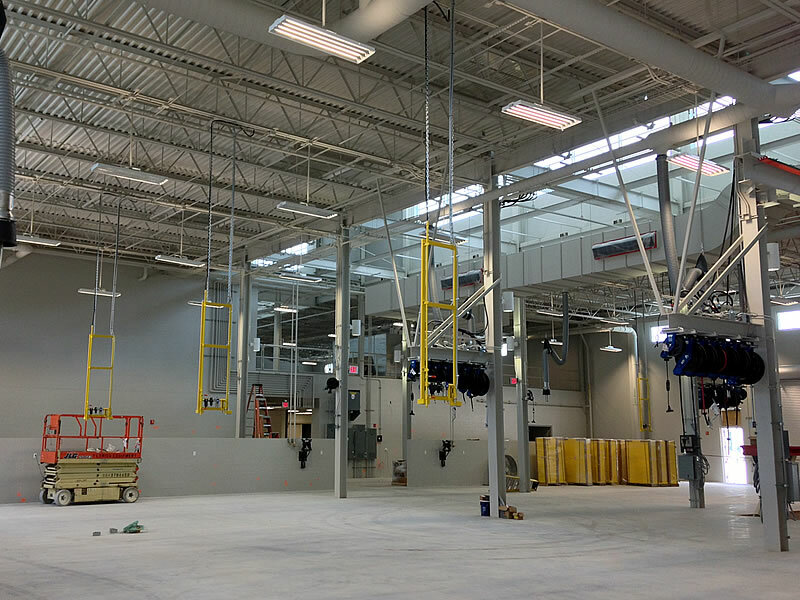 Maintenance Building: At the center of the facility, this portion of the project is 70,240 SF, partial 2-story and partial 1-story building including a mechanical mezzanine. 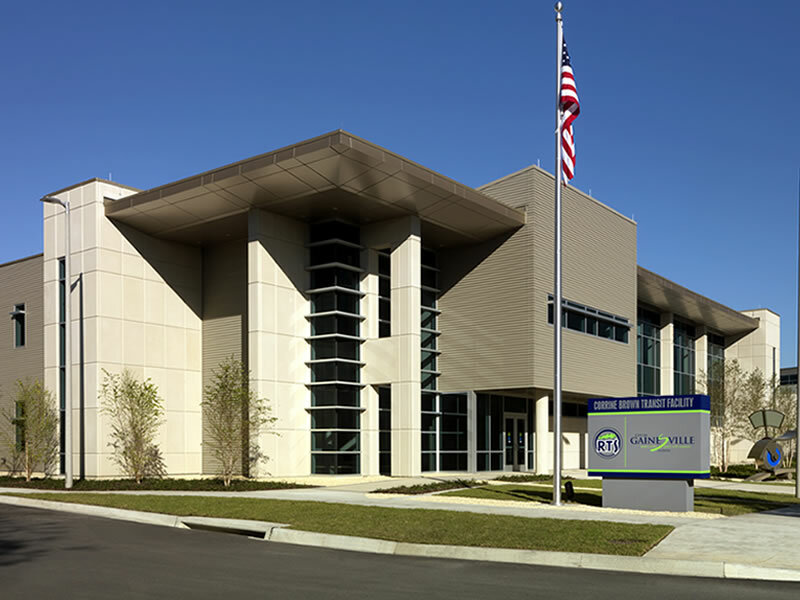 The main building construction is concrete tilt-up panels, heavy duty slab on grade, steel beam and column framing and steel joists with metal roof deck. The mezzanine construction is cast in place concrete columns and beams with a topped hollowcore slab 2nd The building is supported on spread footings. Service Building: This portion of the project is 2270 SF and constructed of tilt-up panels with hollowcore roof deck. Fueling Building: The covered fueling area is 6480 SF and constructed of cast-in-place concrete supporting hollowcore roof deck. 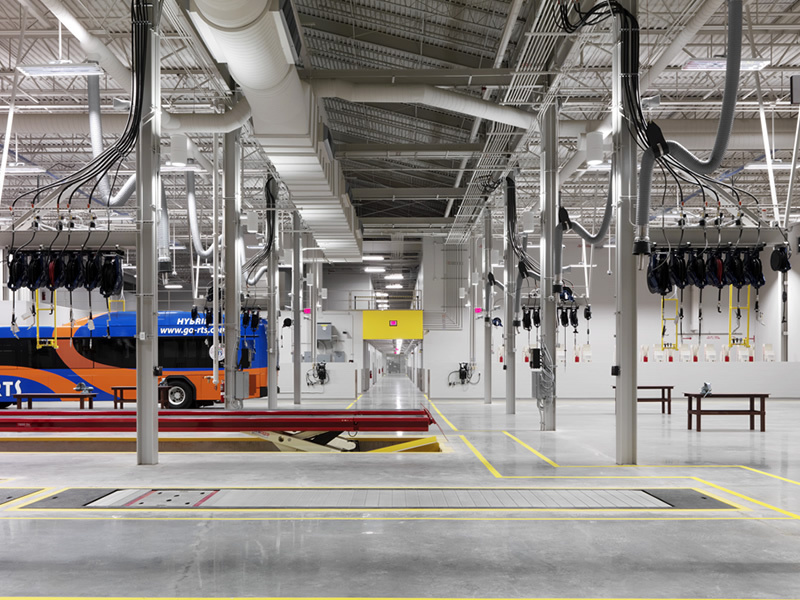 Bus Wash Building: The 14,665 SF cover washing area is constructed of cast-in-place concrete supporting hollowcore roof deck. 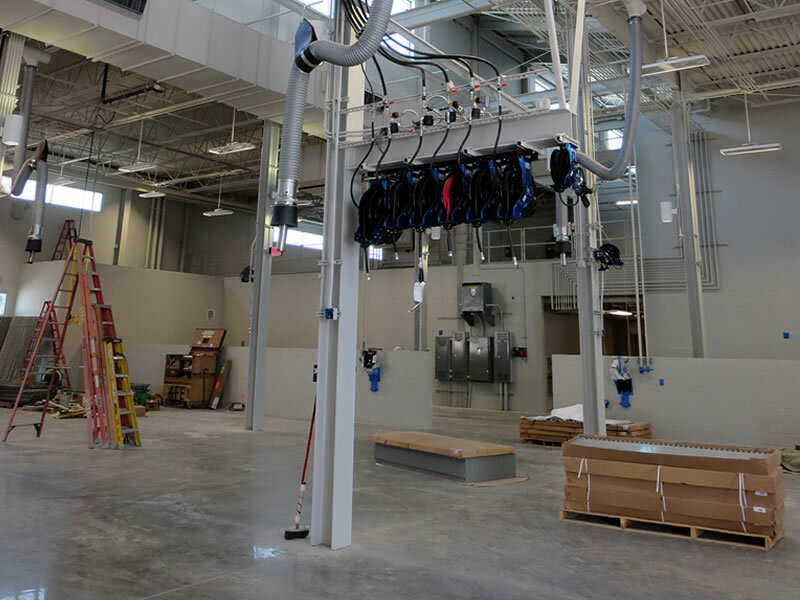 Admin/Ops Building: This portion of the project is 29,245 SF and constructed of steel beams and columns supporting structural concrete on composite steel deck at the second floor and metal roof deck.